Below are a couple photos of an old feedwater heater shipped to American Exchanger Services, Inc. (AM-EX) from one of our very valued customers. 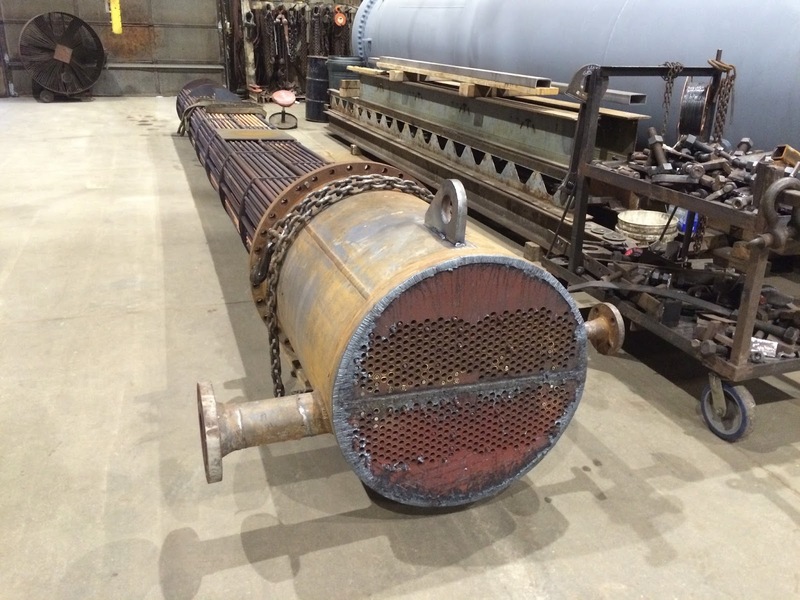 This feedwater heater needs substantial work, no doubt about it. 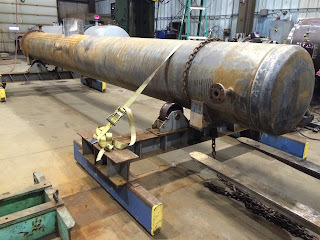 The feedwater heater will be "gutted", the existing tube bundle assembly will be replaced with an American Exchanger Services, Inc. (AM-EX) re-designed tube bundle assembly at AM-EX facilities, extensive shell repairs will be performed at AM-EX, and then the modified (upgraded) feedwater heater will sent back to our customer good as new (actually better than new).